Kaiser is one of those marques that, if it was a cartoon suitcase, would be absolutely covered in stickers. It’s been around, even if no cars have been called Kaisers since 1953. And now it looks like it’s coming back, as the nameplate on SsangYong’s all-new special edition of their luxury car, the Chairman W.
Before we talk about the latest re-incarnation of Kaiser, let’s go over just how many organizations have owned the Kaiser name so far: they started as Kaiser Motors in 1945, bought Willys-Overland and then named themselves Kaiser Jeep, which was then bought by American Motors Corporation, which was bought by Renault, which was then bought by Chrysler, which was then bought by Fiat to become Fiat Chrysler. Damn. Without public fanfare, Ssangyong quietly registered the name Chairman Kaiser with the Korean patent office in September. The Chairman line of cars was based on the Mercedes-Benz E-Class, but the latest generation is SsangYong’s own design, though it still uses license-built Mercedes engines and transmissions. 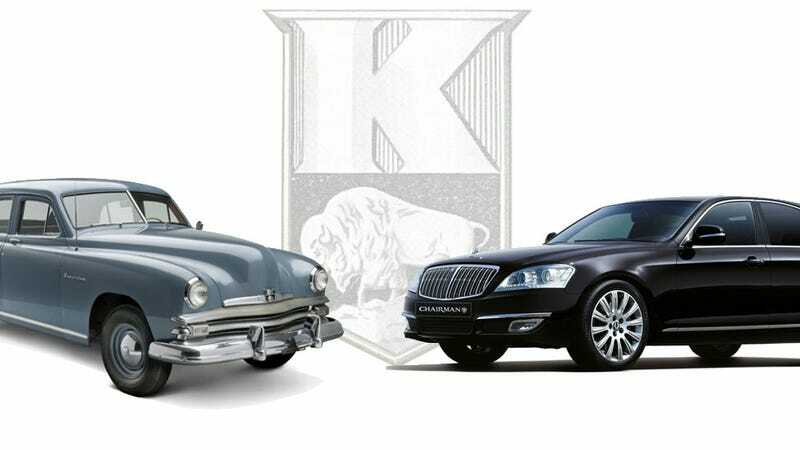 The Kaiser version will be a partially between a facelift and a whole new model of Chairman. I don’t think any Kaiser styling cues will be used (because, again, I’m really uncertain if they have the rights to any of the visual identifiers of the brand) but if they do, I suggest a strange little grille like the old Kaiser Darrin. Oh, and those sliding doors. Those are amazing.